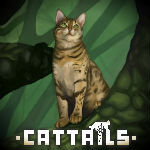 Clan of the Hybrids (Open and Accepting) | Cattails: Become a Cat! Either far in the future or deep in the past there is or was or is yet to be a small town, in a small city, in a small state. There, a small research lab stands, cheaply funded, but [sometimes] successful in it's experiments none the less. In this small research lab, animals are poked and prodded and tested and shocked and so much more. This is all in the name of unnatural hybridization. Some hybrids have been successful, while most have become odd mutants. Many of the unsuccessful are released, some that aren't, escape. Few that are successful also escape, but they are usually hunted by the scientists. The scientists are often referred to as the changers for how they change all the animals completely. The is far from where the hybrids often roam, but it is still there. It looks abandoned but is very much still active. Behind it you see a mountain range. In front of it, an old, dirt road that no hybrid dare travel, for it leads to the homes of the humans and changers. Burrow Mountain is a smaller Mountain then Beyond Hope, it doesn't have much use other than herbs and the tunnels that run below it. It is known as Clan territory among the animals that live in Hope Range. The Mountain Beyond Hope was named that because if you can get across it, then you have escaped to Hope where the changers never travel. Hope Range is the assortment of Mountains behind the lab. Many stray hybrids roam here. Among them are the Clan of the Hybrids. Hunting valley is where the majority of the prey of the Clan is found. It also has a small amount of healing herbs. It is mostly Clan territory, though loners will pass by every now and then. Home Site is where the Clan of Hybrids lives. 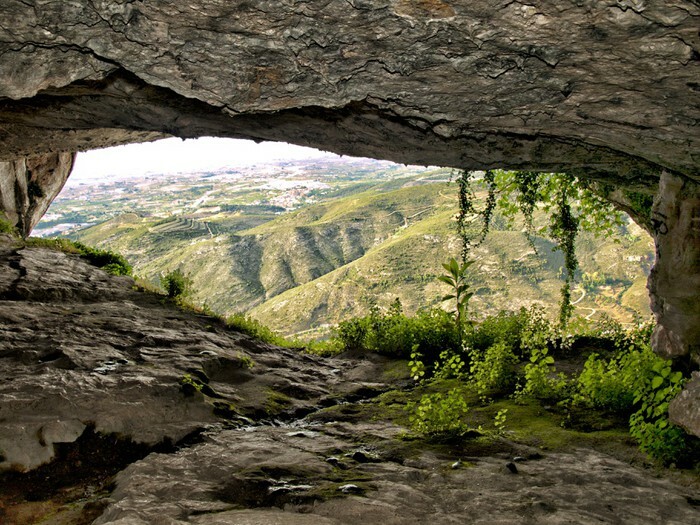 It is a large cave system under Burrow Mountain. Where many hybrids, both Clan and loner, travel for fish. It runs along the safe side of Beyond Hope, away from the Prison. Personality: She is friendly and excitable. She has the energy to run across a long field and back without breaking a sweat. Has a positive attitude. 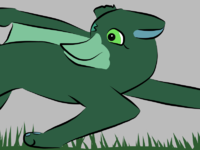 Appearance: Dark green sleek fur with bright green eye. Has a duck bill and 1 wing. Long lizard tail and cat ear. Missing an eye and ear. Backstory: Emmi was a failed experiment that was released after testing. She was scarred greatly and her genes are a complete mess. Skills/Flaws: Lots of energy, amazing hunter, can glide on a windy day. Emmi only has one eye to see out of, has a hard time making friends with her horrid and confusing appearance, can't keep a secret. Personality: Chill and laid back most of the time but not afraid to put you in your place. Quiet and gets most of his point across without speaking. Appearance: Fox-like body with cheetah patterns and a cheetah tail. Backstory: Var was originally a average fox who was unfortunate enough to wander close to the prison place. He was captured and turned hybrid. After months of being trapped, he escape across the mountain and found the Clan. His sister also tried to escape with him, but she was recaptured on their hike over the mountain. Skills/Flaws: Fast and agile. Swift fighter. Has a hard time speaking to others. Terrible hunter and fisher. Personality: Chain is very calm and in control, but if she gets wild there’s no stopping her. She is very nice to young ones, but will be very angry if she knows one could do better. She believes that you try your best to achieve the most. She is very strict but she cares too. She has a semi-short temper. Appearance: She is an orange-ish color on the top, with spotty stripes. Her belly and legs are white with brown stripes and she has red eyes. Family: Mother got shot because she had attacked a zookeeper that teased her. Father was released into the wild and soon shot for fur. Backstory: Chain was bred in the lab, then her parents and siblings were taken to a zoo and released. Chain was kept only because she had red eyes. Other(optional): She is very aggressive and occasionally attacks changers. Personality: Klaus is calm and prideful. He tends to help out around more what is still. He always look for a way too show off his skills and be use to someone. He can a bit rough around the edge and a jerk but bottom his sweet at heart. He has even-tempered and not the best one to angry unless they want a fight. Appearance: Klaus has large bear size blueish-grey with large paws and sharp claws. Large wings on his back to help with flight and owl like face with a sharp break. Backstory: The lad created hybrid known as Owlbear who designed to fight in the sporting area for to twolegs enjoyment. Among the champions of the harsh sport but they wanted to be free to live in the wild so under the clear of night they broke out of their cages and escape into wild. From months they live on there on in shadows and soon they found the clan of fellow hybrids and join them. They settled down and soon enough Klaus was born. He lived a normal life for the almost tends over and help were every possible. He gained much and wisdom from that. Four years later, his parents welcome a little sister into the world. Now his family is complete. Flaws: His has a scary appearance that fright younglings and sometimes other ranks. Wary of others. Other: His parents are second generations. Klaus and sister are third generation. Personality: She is quite serious, reserved, and rarely talks, but she’s a cunning hunter that will obey authority without question. Despite her introvertedness, however, she can be very comforting and kind, she just doesn’t show it very often. Skylar can seem mysterious and even intimidating, but this is only because of her shyness and her aiming for a tough image. 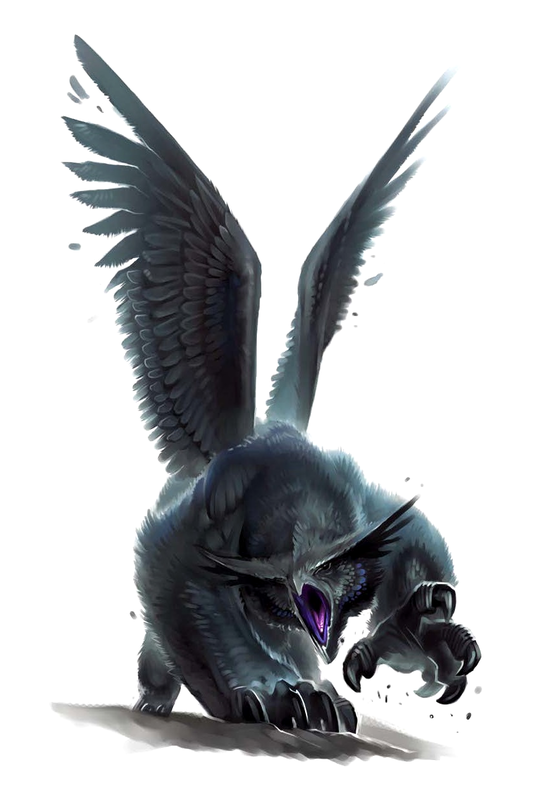 Appearance: She has a lean, wolf-like form, with thick brown fur and a pair of brown hawk wings sprouting from her back. She has light tan on her chest and underbelly, and her eyes are a brilliant gold. Backstory: Skylar’s mother, Andromeda, was captured and brought to a lab days before Skylar was born. When Skylar was 10 months old, scientists experimented on her using hawk DNA. The DNA made Skylar sprout wings, and because of this she flew away from the lab, even though Andromeda was still there, and it pains Skylar to even think about her. Skills & Flaws: Skills: Clever, good hunter, agile. Flaws: Too reserved, low self-esteem. Other: She was an only child. Personality: She is a very mischievous bird. She loves to spook animals out. Nela flies around a lot, and likes to be with >A hybrid I will soon add< after her DNA was input into the animal. She doesn't like it when people run away or are frightened by her appearance, but doesn't mind if she purposely scares them. Backstory: Nela was kept in captivity at the lab, and the researches would use her for her DNA. She was never actually a hybrid though, but they appreciated her looks and decided to study her. They found out her stomach acid had a pH level of 1, meaning it was very acidic, and they would take the DNA in her to create hybrids with belly acids strong as that. Skills/Flaws: Very smart, Scares animals away. Other: SHE ONLY EATS BONES, NOTHING ELSE, PURE BONE SHARDS. Personality: Very protective, suspicious of outsiders, hates changers, agressive, trustworthy and loyal. 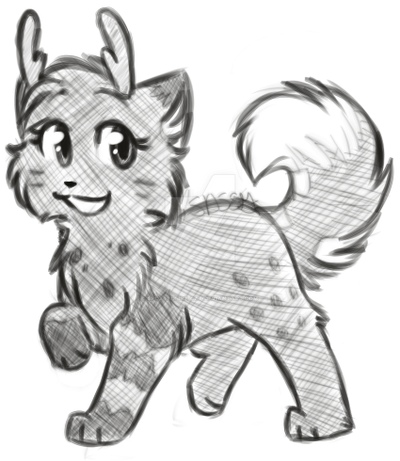 Appearance: pretty brown cat with a regular tail; has deer antlers and hooves. Backstory: Fawn and her brother, as little kittens, were adopted by a couple that were changers. They raised the kittens, trained them, and Fawn grew to love her owners. But one day, when they were six months old, they were taken to a place neither of them had seen before. She could hear other cats but couldn’t see them. She was terrified as they did some wield things and by the time she woke up, she had a deer’s hooves and antlers. 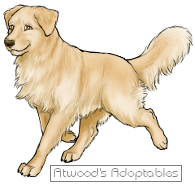 The changers had put all their energy making sure Fawn and her brother turned out perfect, but they were careless with the others. Fawn saw this as unfair, and she got worse every day. Finally, she decided to leave. She would escape during the night, and maybe free someone along the way. Her brother agreed with her plan, but refused to go with her. He said he would distract the changers and keep them away from her. She knew it was a risk, but it had to be taken. She agreed, and left that night. Ever since, she has never stopped thinking about her brother. Skills/flaws: Good fighter, great at protecting, clingy, has very good memory, not much of a hunter.